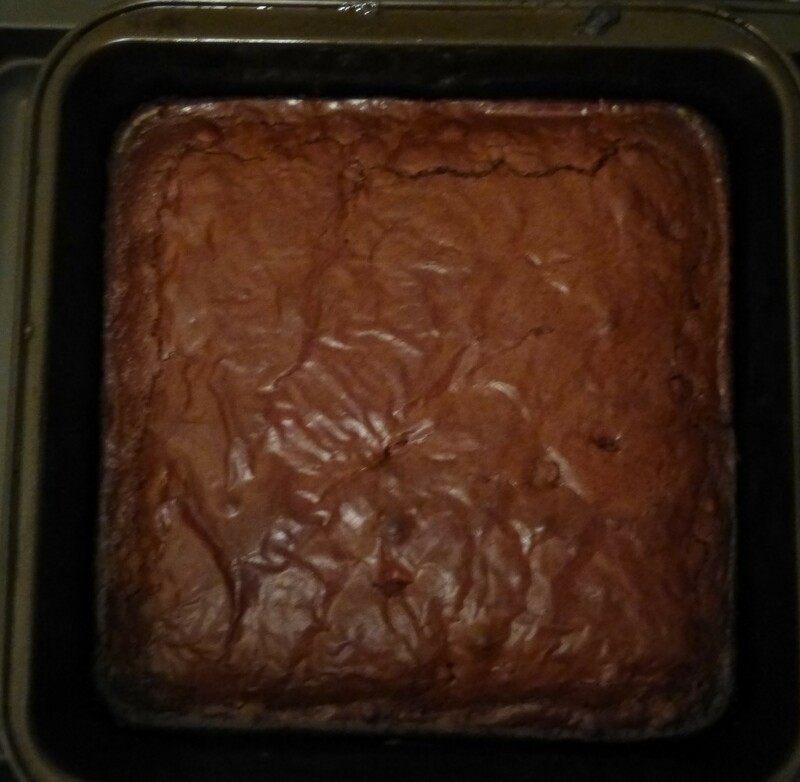 Everyone probably has a memory of brownies baked at home: helping Mom with the mixing and getting to lick the spoon, then enjoying the tempting chocolate aroma filling the kitchen as they baked, waiting impatiently for them to be done and – at last – biting into that still warm chewy chocolate brownie. Ahh, you know you can almost taste them now. 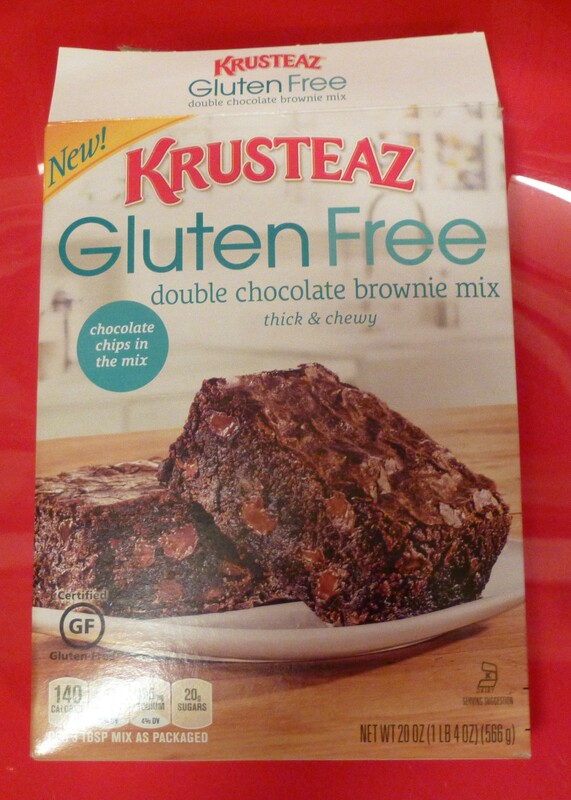 If you enjoy eating fresh baked goods but really need to keep the bake-at-home preparation simple, then you are going to love Krusteaz brand Gluten Free Double Chocolate Brownie Mix, which will be in stores in late August/ early September! 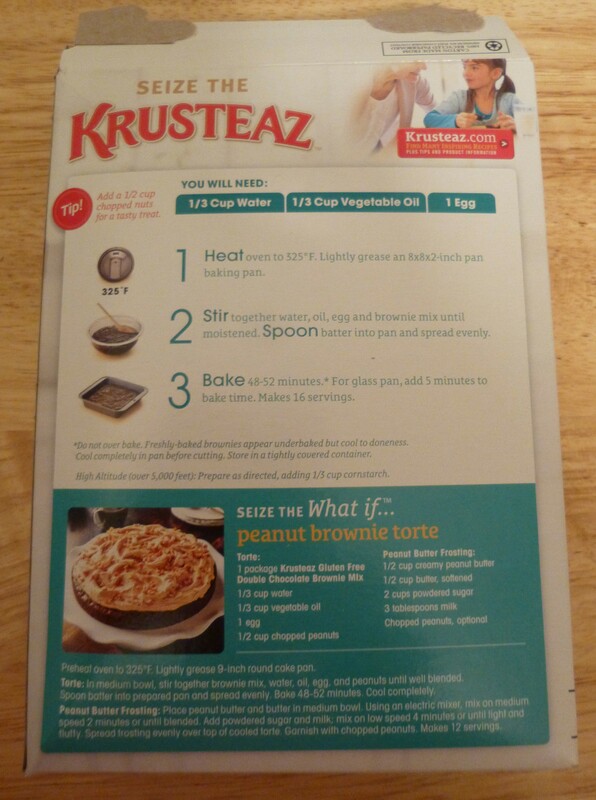 Krusteaz sent us over a box for review and I baked them this past weekend. It was so easy and the results were beyond my expectations. The instructions are so simple a child could do it. Seriously, it is impossible to mess it up. Baking times suggest 48 – 52 minutes for a metal pan and five minutes longer for a glass pan. My oven is ancient and runs a little hot, so I opted for 48 minutes and they still got a little “brown” around the edges. I just cut that part off. No harm, no foul. 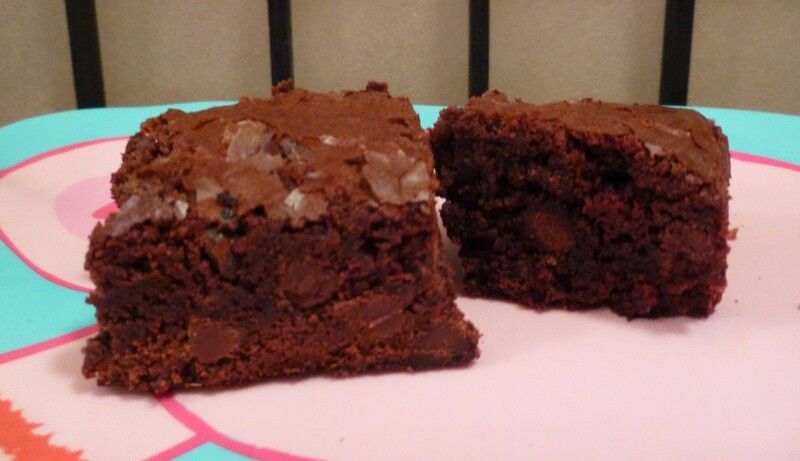 Take a look at the finished product: moist, chewy, and super chocolaty with tons of real chocolate chips in the mix! You would never know this is a Gluten Free Brownie because it lacks for nothing with regard to taste and texture. 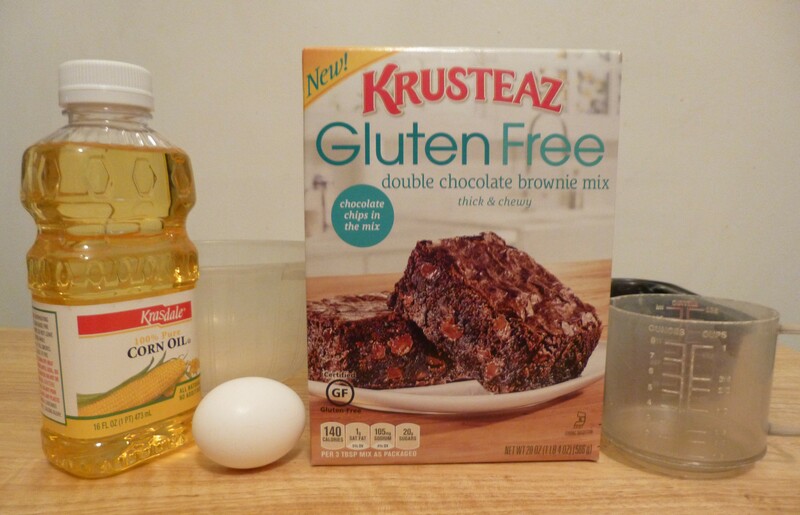 With Krusteaz you can have delicious home-baked Brownies in about an hour. For more information on Krusteaz Baking Mixes and to find a store near you that sells them, visit Krusteaz Dot Com. 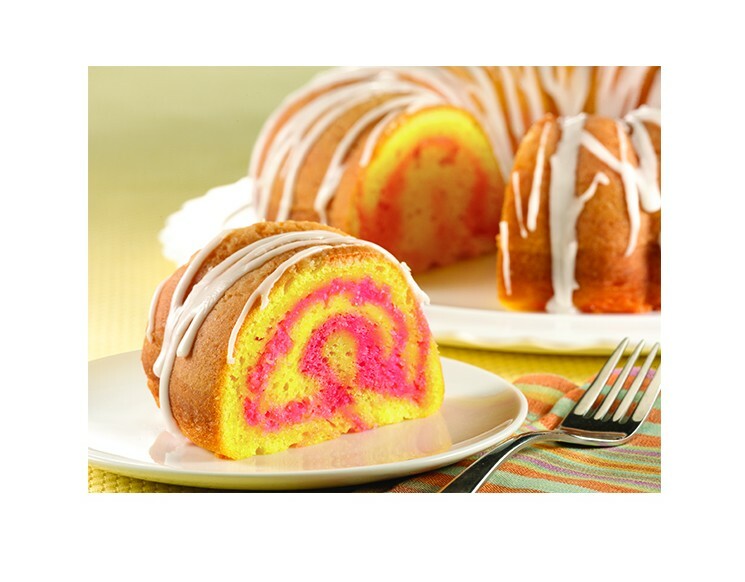 Duncan Hines Spring Velvets Cake Mixes Make Your Perfect Easter Cake! Do you like cake? I sure do. 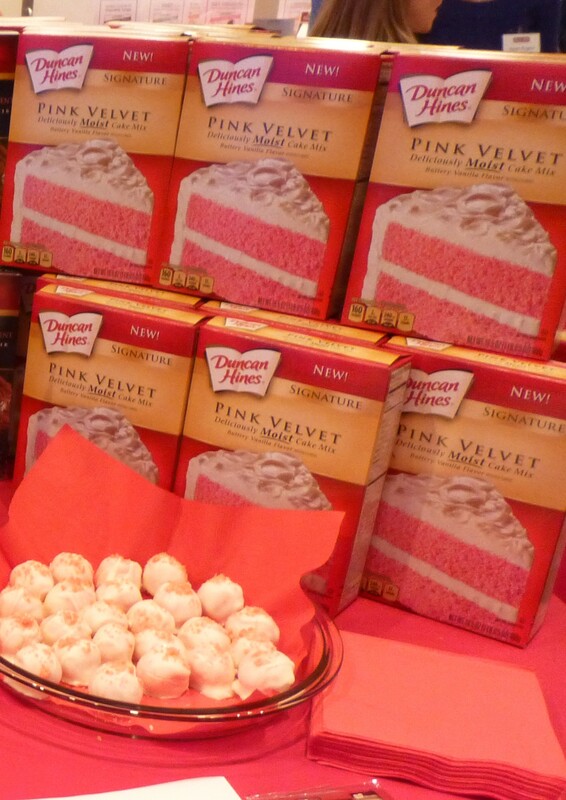 Just recently, I was introduced to two fantastic new cake mixes from Duncan Hines® – a brand you know and trust – Blue Velvet and Pink Velvet, both of which I had the opportunity taste at Winter Food Fete. These mixes really elevate the quality of desserts that you can make conveniently at home. Just in time for Easter, Duncan Hines® has introduced Limited Edition Spring Velvets™ Cake Mix as a part of their new velvets line; the first in the baking aisle to extend velvet cake beyond the traditional red velvet. As you can see by these beautiful and tempting photos, Spring Velvets™ provides a uniquely colorful way to brighten up any spring time occasion! 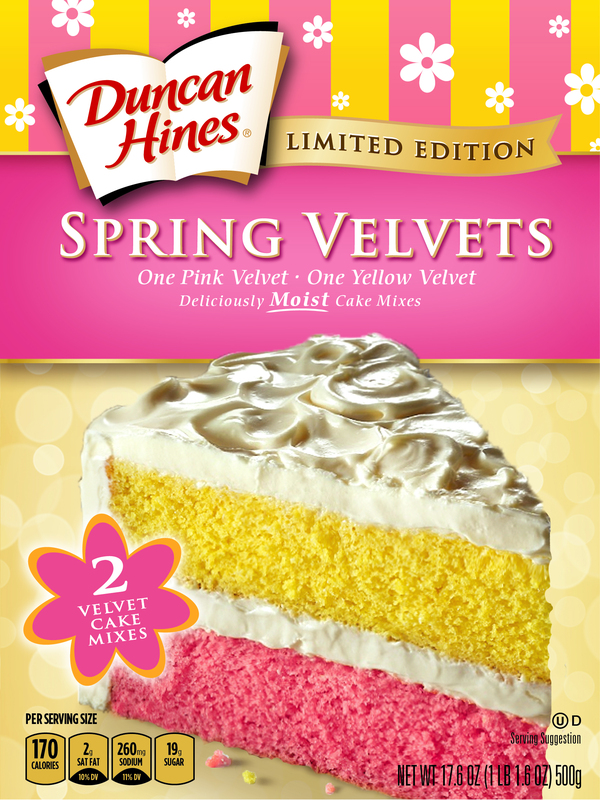 Duncan Hines® Spring Velvets™ Cake Mix will be available at limited retailers nationwide only until May 2014, and has a suggested retail price of $1.99. Check out these two recipes for inspiring, lovely and delicious cakes you can make in time for Easter! 1. Preheat oven to 350°F. Grease 2 9×6 loaf pans with shortening or oil spray. 2. Prepare the batters according to the package directions and scoop each batter into each pan. 3. Bake 30-33 minutes or until toothpick inserted in center comes out free of crumbs. Cool completely. 4. Slice the pink velvet in half lengthwise. Then take each half and slice it in half vertically. You will have 4 strips of cake. 5. Repeat the above process with the yellow velvet. 6. 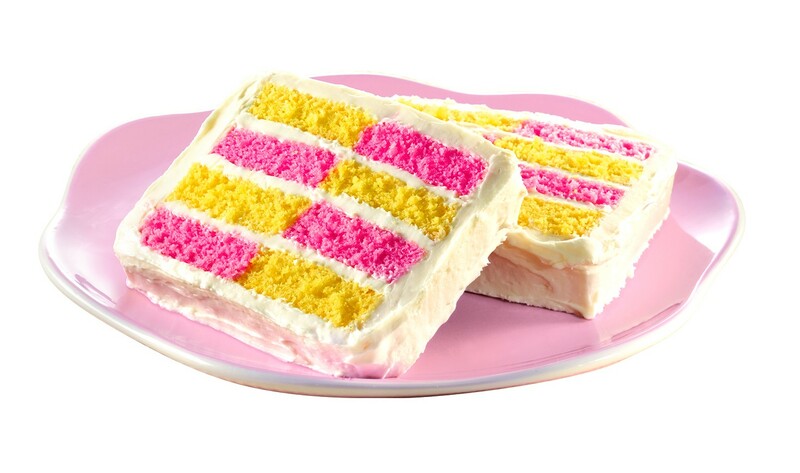 Place a pink slice next to a yellow slice onto a plate. Ice the top with frosting. 7. Next place a yellow slice on top of the pink slice and a pink slice on top of a yellow slice, Ice the top. 8. Repeat the above process until there are no more remaining cake slices. 9. Frost the entire cake upon completing the 4-layer checkerboard. *Tip – You can build as many checkerboards as you want; you just need to cut smaller slices of cake – refer to picture for guidance. 2. Combine 2 eggs ¾ cup of water, ½ cup of dry pudding mix, and ¼ cup oil with first velvet cake mix. 4. Beat each mix at medium speed with electric mixer for 2 minutes. 6. Pour Pink Velvet batter on top of the Yellow Velvet batter. 7. Insert a butter knife halfway into the batter when all of the batter is in the pan. Swirl the batter by gently moving the knife in a circular motion around the pan. 8. Bake at 350° for 50 to 60 minutes or until toothpick inserted in center comes out free of crumbs. 10. Make glaze by adding lemon juice to powdered sugar and stir until smooth. Drizzle over cake. You know how Cupcakes are so trending right now. Cupcake stores are popping up everywhere you look, just like Starbucks. I mean, they even have cupcake baking “Wars” on TV and everything. Cupcakes! If you are going to be baking any cupcakes of your own, or buying them in fancy cupcake stores but serving them in your home, you probably want a fancy plate for this. Here is one I really like. Also, you can put a full-size cake on it. Versatility! I sense that you are attracted to this Cupcake Stand. And guess what? You can own it for just $39.95. It is available at This Link right now! Oh man, these are cool looking cupcakes, am I right? 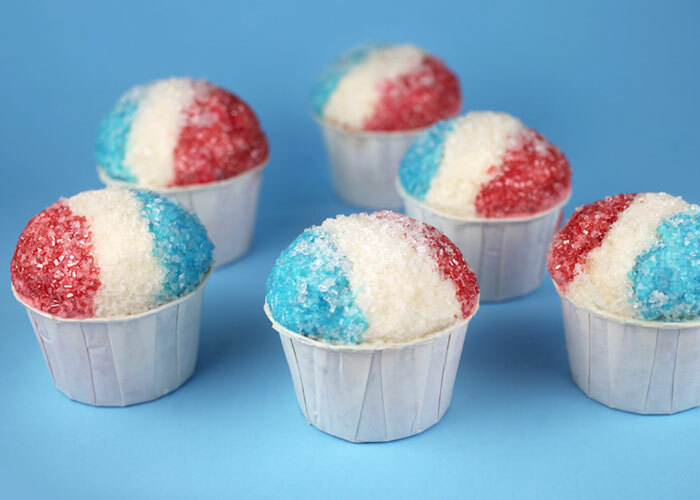 Wouldn’t they be super fun to serve at a 4th of July BBQ, especially when everyone thinks they are snow cones, but then they don’t melt. Fun! Complete detailed baking and decorating directions, with photos of each step, can be found at This Link! Happy Baking! 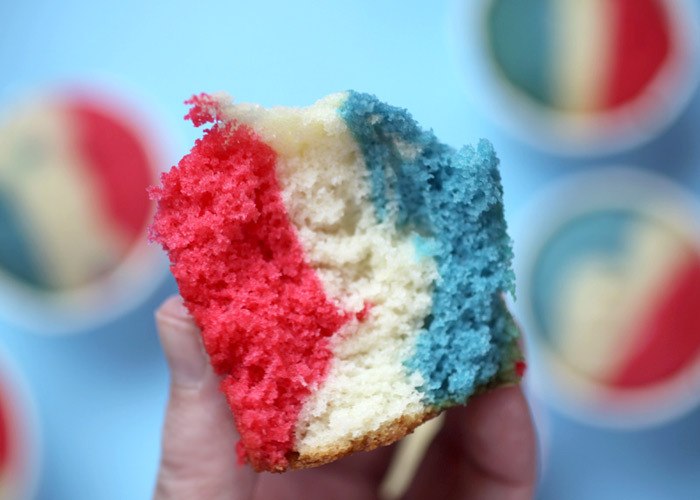 Tri-Color Cupcakes Look Like This Inside! Thanks to Neatorama For The Tip! 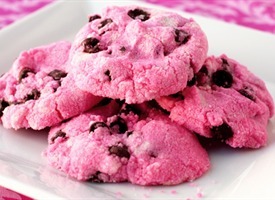 Pink Thing of The Day: Pink Chocolate Chip Shortbread Cookies! Find out how to make the cookies pictured above – so pink and delicious looking – at This Link, and then bring them to me! Thanks to Jamie Moroni For The Tip! 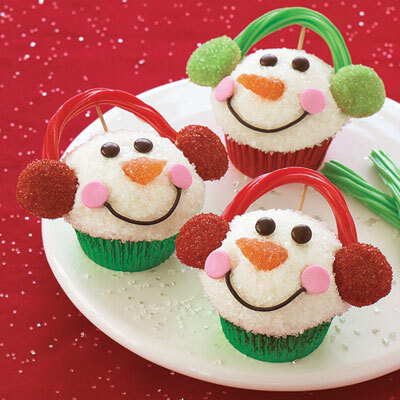 Holiday Snowmen Cupcakes: the Cuteness. Make them yourself with the recipe found at This Link or just dress up a box of Cupcakes from the store, then take all the credit! Be creative! It’s Christmas! In a perfect world everything would be as stark and void of color as these cupcakes . They are baneful in their absolute disdain for your tastelessness, and are true misanthropes as far as baked goods go. In a large bowl sift together: flour, sugar, cocoa powder, baking soda and salt. Stir gently until just combined. Too much friction annihilates the bubbles! Softened cream cheese, sugar and egg. Add as many chocolate chips as you can stand. Fill cupcake tins about half full of cake batter and drop cream cheese mixture by the spoonful into each one. Bake 15-20 minutes, or until toothpick inserted into cakey part comes out clean. Let cool and decorate with a splattering of melted chocolate. Best enjoyed when paired with obscure French Black Metal.